It’s so nice to have all my Sphere magazines back thanks to the generosity of one of my readers, after losing all of mine in the July flood. I will never be able to thank her enough. Now I can continue the monthly Sphere blogs! Not surprisingly, one article features recipes for a festive Thanksgiving that keeps in tradition with the menu of the Pilgrims from a family whose home was built in the 1700’s. On the menu of this colonial meal is cranberry sauce, pumpkin pie, hickory nut cookies, pea soup, clams on the half shell, bread, braised turnips and celery, sweet-sour cabbage relish, and of course, turkey. Another featured page is all about omelets from crabmeat, avocado, sausage-potato, to more adventurous ones such as a foo young omelet, Italian pepperoni, Mexican (with chorizo and corn), curried chicken, broccoli and mushroom, and even a dessert omelet with apricots and orange liqueur. My favorite article was all about walnuts. Just reading about it had me remembering a childhood favorite, when my mom would set big wooden bowls of raw nuts along with a nutcracker for winter snacks. I loved cracking those nuts and even still have the old nutcracker. Walnuts and almonds were my favorite, but I especially loved the look and feel of the walnuts. Although I must admit, they were hard to crack. We also had little picks to use for prying out the stubborn ones. Yes, I still have the pick too! The walnut recipes covered everything imaginable with a few surprises. There is Stuffed Pork Chops with Walnut Gravy, Walnut-Zucchini Hors d’Oeuvres, Creole Walnut Salad, Cauliflower Walnut Casserole, Butterscotch Walnut Pie, Buttered Walnut Noodles, Asparagus Walnut, Walnut Chicken, Maple Walnut Coffee Bread, Cocktail Walnuts, and the one I chose to prepare, an unusual dessert featuring shredded wheat and walnuts called Honey Walnut Dessert Squares. 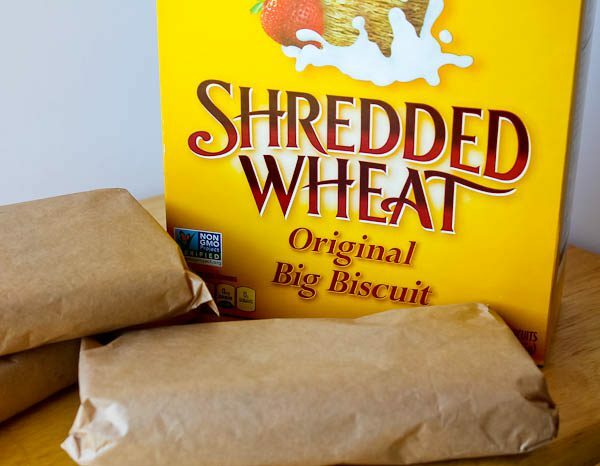 Start with good old original Shredded Wheat cereal biscuits, not to be confused with bite-sized sugar-coated or flavored mini-wheats. Three packages consisting of three large biscuits each are needed to make the required three cups of crushed biscuits which are mixed with a little sugar, cinnamon, cloves and salt. The mixture is spooned into a greased 9-inch square pan, drizzled with butter, and baked for about 20 minutes. When it is removed from the oven, a hot honey-lemon syrup is poured over while hot to let it all soak in. It must then sit for at least 4-6 hours for the biscuit layer to absorb all the syrup. 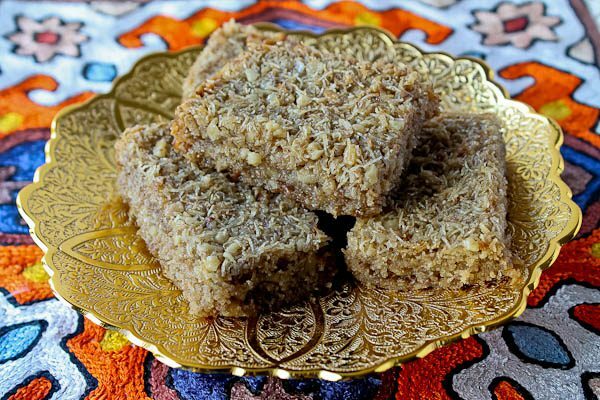 It will remind you somewhat of baklava and just as wonderful! Cut into squares (it cuts like a dream!) and serve with scoops of vanilla ice cream. It’s an interesting dessert, not to mention rich and delicious. If you are looking for something different, this certainly fits the bill. 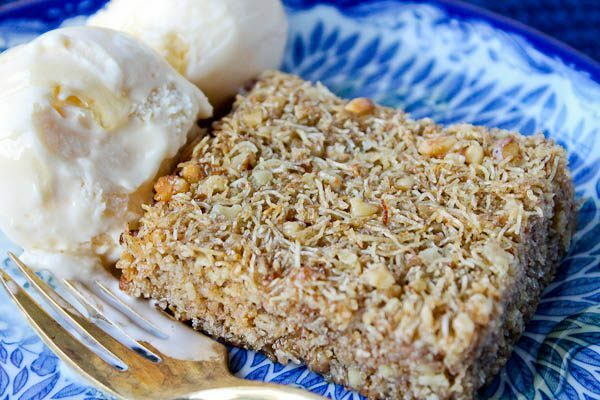 The recipe is cut into 16 squares and definitely needs the ice cream to cut the honey sweetness. Keep telling yourself it’s filled with fiber from the shredded wheat, and from the walnuts, vitamins A and B, phosphorus, iron, and protein as extra bonuses. And if you have a bowl of raw nuts and a nutcracker, you can even have fun cracking the walnuts yourself! Heat oven to 400 degrees F. Combine shredded wheat, walnuts, 3 Tablespoons sugar, cinnamon, cloves, and salt. 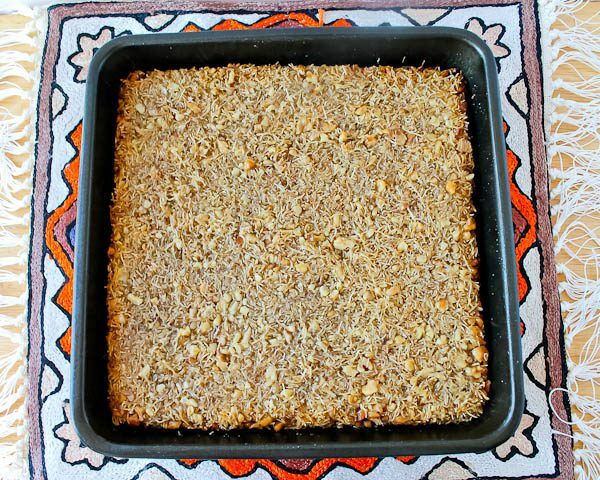 Turn into a well-greased square baking pan, 9-by-9-by-2 inches. Pour melted butter evenly over shredded wheat mixture in pan. Bake until light brown, about 20 to 25 minutes. While mixture is baking, mix 1 cup sugar with the water in a heavy saucepan. Heat to boiling; reduce heat. Simmer for 5 minutes, stirring constantly. Stir in honey and lemon juice. Simmer 5 minutes. Remove mixture from oven. Pour hot syrup evenly on top immediately, and press down with the back of a spoon. Let stand at room temperature for 4 to 6 hours before cutting into squares. Serve with vanilla ice cream. Makes 16 squares. These treats sound YUMMY! I printed the recipe out to try sometime! Thank you so much for sharing your Sphere wealth with us! My mom made this dessert, and it was good, although I had forgotten it. I will make it again soon! 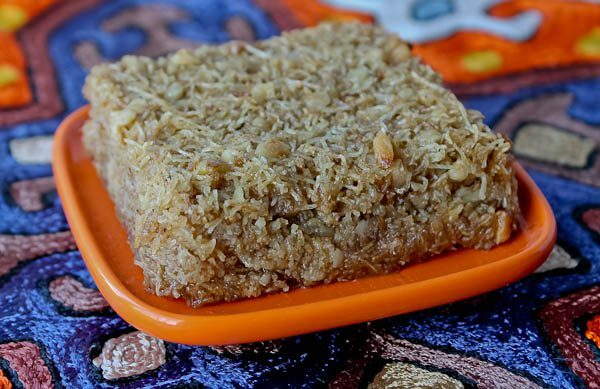 Hi Nancy- I’m happy to hear from someone else who made this dessert! 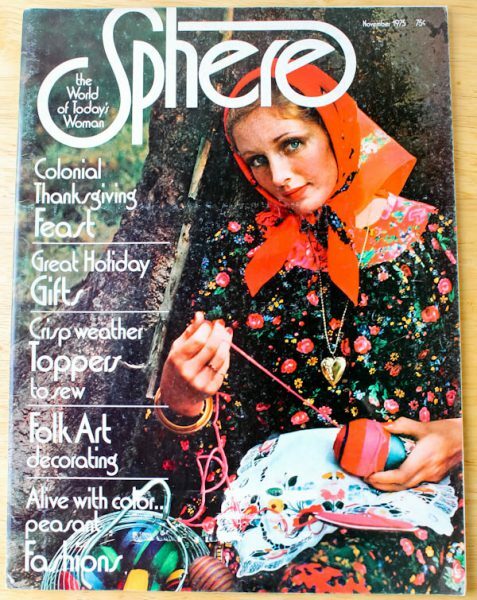 I’m desperately searching for a recipe from a September issue of Sohere (not sure which year) called Layered Phyllo Dessert. Would you happen to have it? Deborah, I found the recipe in the September 1978 issue and just emailed it to you! Thanks for writing!